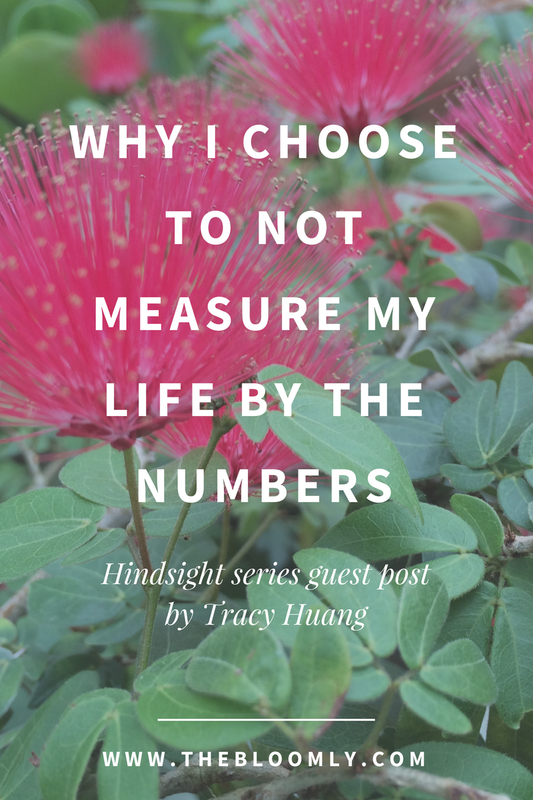 With all the numbers in our lives — GPA, salary, social media followers, weight — we often find ourselves using these numbers to quantify the amount of personal satisfaction and success that we have in our lives. However, although it's an easy trap to fall into, using numbers to measure your life, it can do more harm than good. 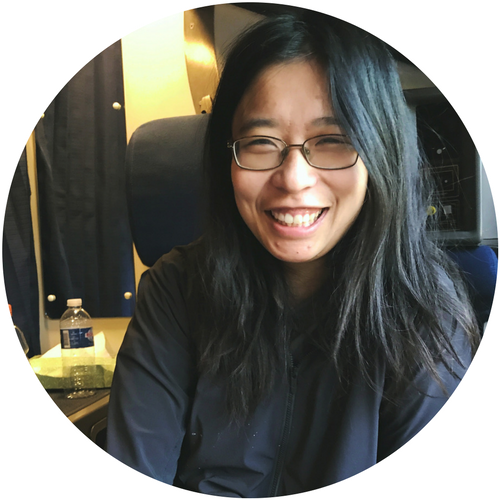 Here's Tracy's story about her time in high school obsessing over her GPA, how it affected her, and what she learned from the experience. When I say the words “high school,” what do you think of? Was it a proud time in your life, when you felt balanced and full of energy, or was it like mine, full of strife, anxiety, and exhaustion? When I think back to those four years of my life, I see a time filled with more destruction than learning, more loathing than love, and more survival than thriving. It’s taken me a long time to get to where I am, and I’m still unlearning the conditioning I had from years of competing for my self-worth. Texas is big. And Plano, the district where I went to high school, was no exception. In 2007, the year I graduated, the Plano Independent School District’s student enrollment numbers topped 53,000 students. About 10 years later, in 2016, these enrollment numbers hover around the same massive figure, with over 54,000 students. But numbers are like glaze to eye-doughnuts if I don’t attach a personal meaning to them. So here is how those big numbers trickled down to me. I remember Plano Senior High School, a two-year public high school, to be a behemoth of a school. Our graduating class topped 1,200 students, a figure I only remember all these years from memorizing my class rank at the time. I recall trying to shuffle around the halls and squeezing past people on my way to class shoulder-to-shoulder, barely moving an inch, and then sprinting from one end of the campus to the other, frightening the ducks on our artificial pond, to make it in time for class. Classes were always overcrowded even in the limited enrollment Advanced Placement courses. Being around so many people at a time in my life when I was supposed to be becoming an adult and discovering who I was became an overwhelming task. So instead of taking a step back and asking myself what I was doing with my life, and what passions I wanted to discover about myself, I stuffed those aspirations deep down, rolled up my sleeves, and got to work trying to succeed by the numbers. So succeed by the numbers I did. I soared to the top parts of the class rankings. The fact that GPA was calculated to decimal points meant another thing to obsess over. The trend of complaining about who got the least amount of sleep only intensified from middle school (start ’em young, as they say); people would talk about how they were up all night studying for a test. The competition was not always an open dialogue, but due to the overcrowded atmosphere and the desire to stand out, competition became so ingrained in each of us that it became a conditioned impulse and a way of existing that simply became accepted. Competition became a conditioned impulse and a way of existing that simply became accepted. Cliques in my physics class formed based on what grades you got. For example, if you had a potential to break the curve (a point of pride and bragging rights), you would be invited into one study group. Those who didn’t have that potential worked in other study groups, or even worse, with no one at all. Academic success became a way to judge a person’s worth; it was a currency that bought membership into an exclusive club. Striving to be the best on every standard — tangible or not — quickly became tied to my identity and sense of self-worth. If I didn’t get the highest grade, I was worthless. If I didn’t study right up to the minute of every test, I was complacent. If I didn’t get a student leadership position, I was unpopular. If I didn’t sleep the least, I was lazy. There was no single event that caused me to look up and realize that I had been profoundly affected by years of constant struggle. Instead, it was a slow awakening of over a decade now, to realize how crazy and insane life was back then. It took the healing presence of nature at Amherst College for me to realize that there was more to life. The feel of Adirondack chairs on a dewy spring. The smell of steaks permeating the thick summer air. The sound of birdsong in an autumn canopy. The sight of sunset falling over a snow-covered hill. It took years of therapy and more tears than I could ever fathom to process all that had happened. It took years of meditation and prayer. For me, I embraced nature, meditation, and prayer because these activities allowed me to gain perspective on what truly mattered in life. Nature was bigger and broader than I could fathom; it calmed me and reminded me that my problems were much smaller than the majestic world in which I lived. I felt attracted to meditation after learning the scientific benefits and capacity for mindfulness to calm the fear centers in my brain. And prayer allowed me to return to what I had always felt as a child—a faith, very much unseen, that everything would eventually turn out to be alright. To some degree, I feel like only recently I’ve been on the cusp of real change, as I’ve started to do what I want and to ignore all of the “should”s that plague my mind — those familiar refrains which want me to succeed to reach a certain number or a certain bar. In those years of healing, I’ve learned that love was more important than anything else. I’ve learned that it doesn’t matter how much I competed against my friends, what mattered to me more was camaraderie and community. That a greater joy came from helping others and from lifting them up: from celebrating their strengths rather than despising them. That everyone faced the same struggles, and that it was important to ask for help. That studying was important, but maybe for a limited purpose like graduate school, and that everything outside of the classroom walls contained better lessons than those within it. Everything outside of the classroom walls contained better lessons than those within it. Most importantly, I learned that the numbers didn’t matter, and couldn’t matter for my own happiness. And if numbers did matter, they were ones that I had been taught for my whole life to ignore: minutes spent in checking in with someone to make sure they were okay, hours spent in deep conversations with my friends, and days spent working on my own creative projects that let my imagination run wild. I’ve been able to start my own podcast, write a great newsletter to my friends and family, practice my photography in sport and animal rescue events, help an organization write a grant application, and become an ambassador for a social media movement. When I stop worrying about the numbers, I carry with me a powerful self worth and intrinsic motivation to accomplish projects because I want to, not because I have to. If there is one message I want to impart on the readers, and in particular the high school students at my school, it is this: You are so much more. You are so much more than your GPA. You are so much more than the last test grade you received. You are so much more than the number of leadership positions that you hold. And to the readers who have long passed their high school years, recognize where numbers still have a control of you. The fixation on numbers extends to every facet of adult life. Ranking is easily the next salary figure, the next grades, the next job rating. Minutes spent studying are no different from minutes billed. Leadership positions will translate to other measures of prestige, like your house’s square footage or where you send your children to school. The siren call of numbers extends beyond high school; if anything, they can be more insidious because they don’t come in obvious forms. Your confidence and sense of self worth should not be tied down to numbers if you want to live your fullest life. Numbers are the easy way out when people don’t want to truly confront who they are and their sense of self. Numbers will never make you feel enough. So how should I presume that your life can be lived? Measure life not by coffee spoons. In fact, don’t measure by any metric at all. Too precious are those evenings, mornings and afternoons lost to a struggle for wondering if you are enough. I know that all too soon, I may be a voice dying. And what music do I want to hear at that time? The silence of cold and unfeeling numbers from a farther room? Or the laughter of my friends and family, the sound of a voice saying “thank you,” and the bright melody of a singing soul? If you want to know you’re enough, if you want to know you truly matter, if you want to know these all —then focus on life beyond grades: in school and at work. Go outside. Take a break. Sleep as much as you want to because that’s how your brain can operate the best. If you don’t, you’ll live a life where you are constantly grading yourself and feeling like you don’t quite measure up. Forget about getting the perfect grade and instead live each moment absorbing the world around you. Meditate. Get off social media and start interacting with your friends face to face. The world is already full of people who want to evaluate you and put you in a box. The sooner you can tell yourself that you are worthy of love and belonging no matter what, the sooner you’ll be able to live a life where the numbers don’t matter, but you still do. Tracy is the creator of the podcast, The Mental Arts. She doesn’t answer the question “How are you?” anymore, but any surefire conversation starters include photography, jiu jitsu/karate, cats, and food. She also supports two organizations encouraging frank conversations about life: #HalfTheStory and #SubmitTheStigma (they’re looking for contributors!). Wow! What an incredible post! This got me thinking of how much numbers matter in my life, even without me noticing it, and I consider myself a laid back person. I'm not obsessed with money and finances, but there are so many other ways I measure my life based on numbers. Like you, even in high school, I obsessed over my GPA, my ACT scores, and my exams. It really hasn't changed much after high school. I just care more about how many hours I work, how much time I spend watching TV, how many miles I put on my car, how much gas costs, etc. It's crazy. Great post!! Thanks for sharing! !